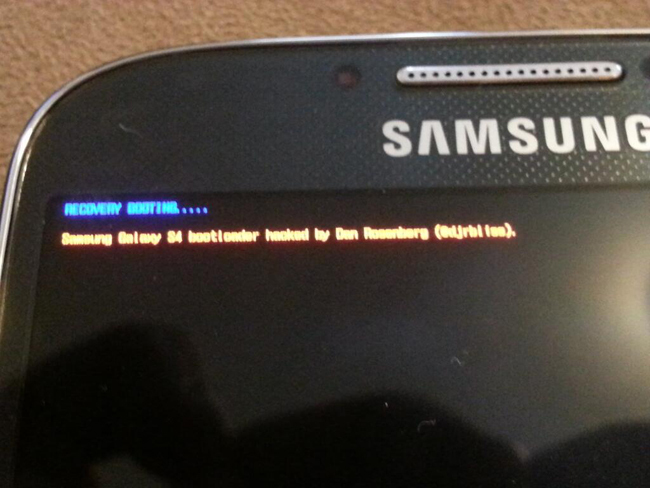 Earlier in the week we heard that the AT&T version of the Samsung Galaxy S4 came with a locked bootloader, and now it looks like Dan Rosenberg has managed to unlock the bootloader on the S4. Although it doesn’t look like anything will be released for a while, as Dan Rosenberg posted on the XDA developers forum that nothing will be released until the Verizon Samsung Galaxy S4 is launched, this will launch near the end of this month. I will not be publishing anything at least until the Verizon-branded Galaxy S4 begins shipping (late May). You can find out more details about the Samsung Galaxy S4 bootloader being unlocked over at the XDA Developers forum.